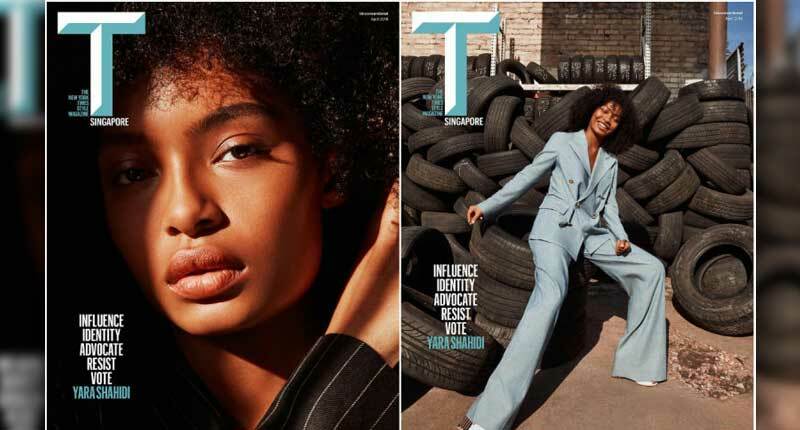 Black-ish supporting actor and Grown-ish star Yara Shahidi graces the April cover of T Singapore the New York Times Style Magazine’s Singapore edition. The young star is radiant on the cover, styled in whites, grays and blue hues shot in the Los Angeles warehouse district. 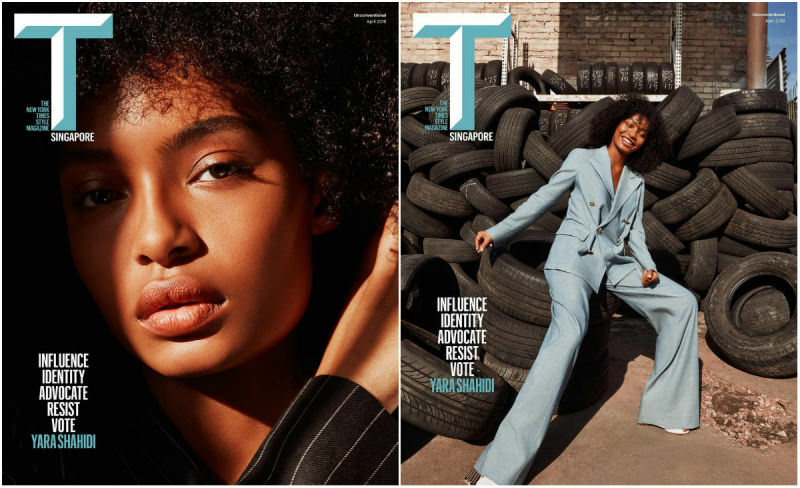 At just 18 Shahidi has graced magazine covers, stars in two hit shows, and is a voice for young black teens across the country.